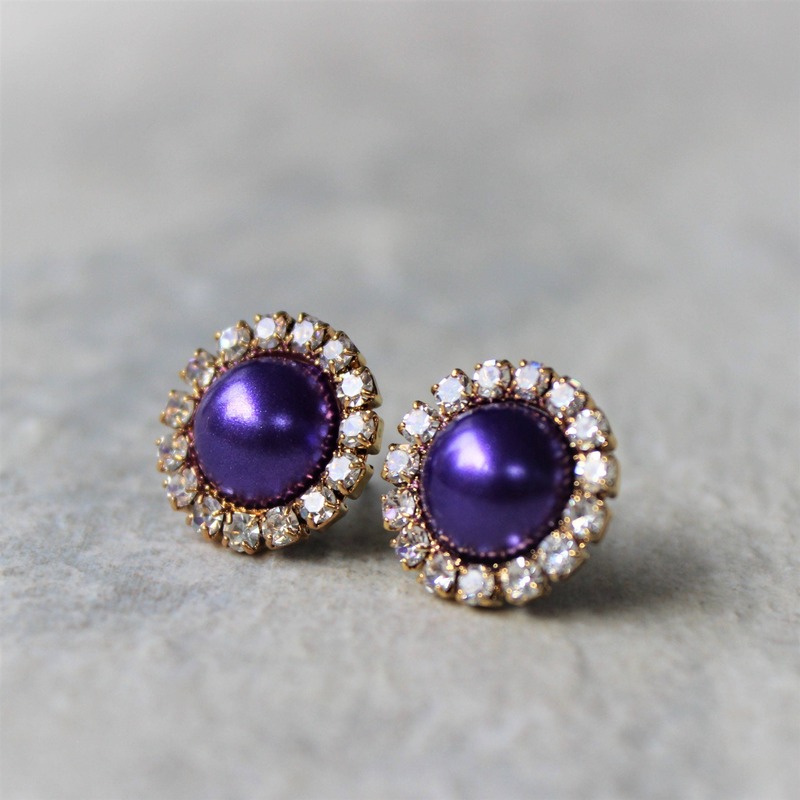 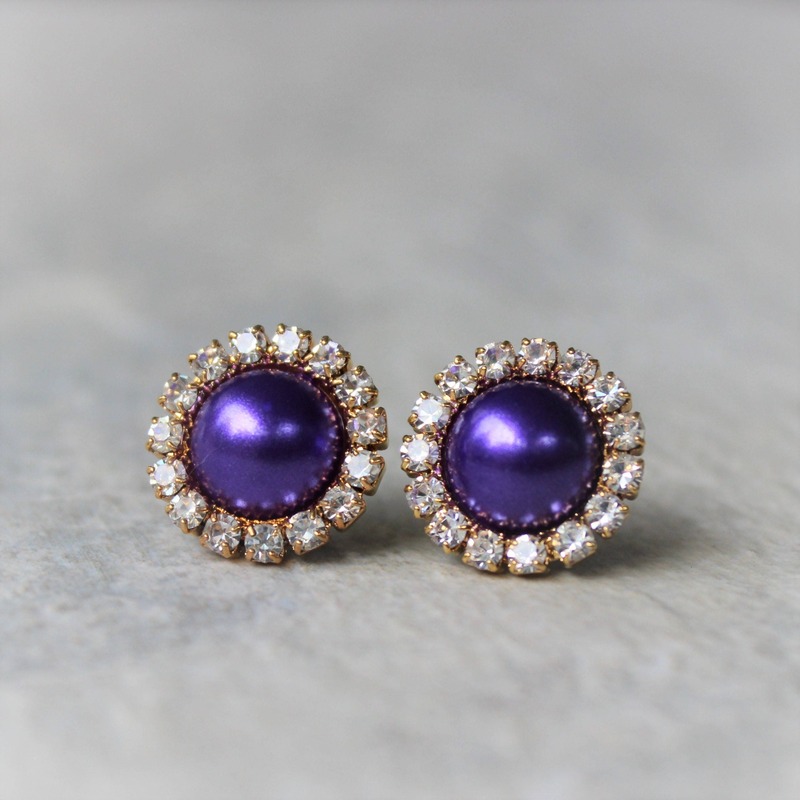 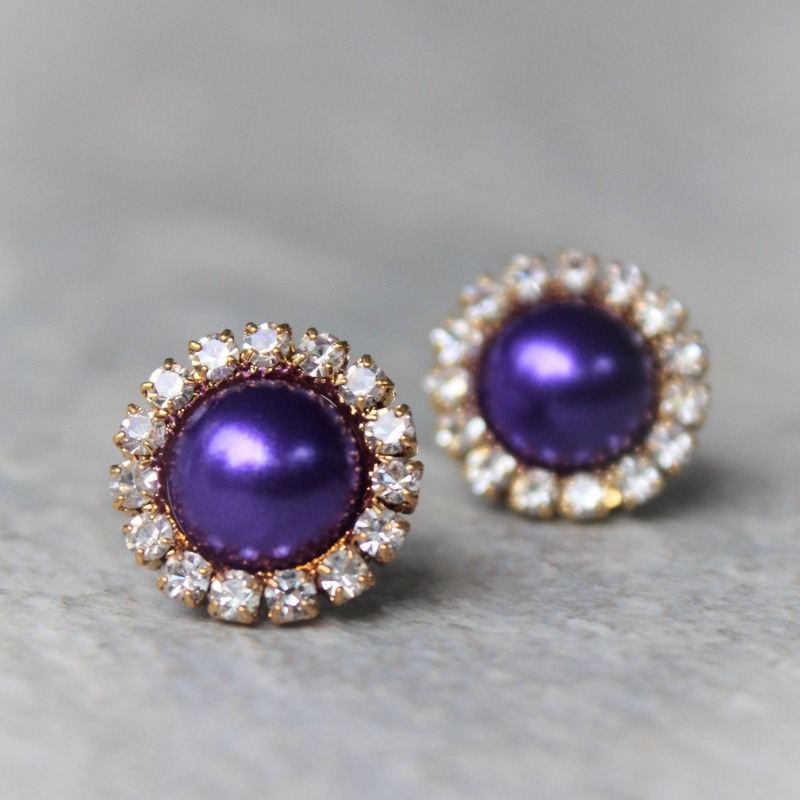 Shown in a gold setting with purple pearls, these beautiful earrings are perfect for bridesmaids! 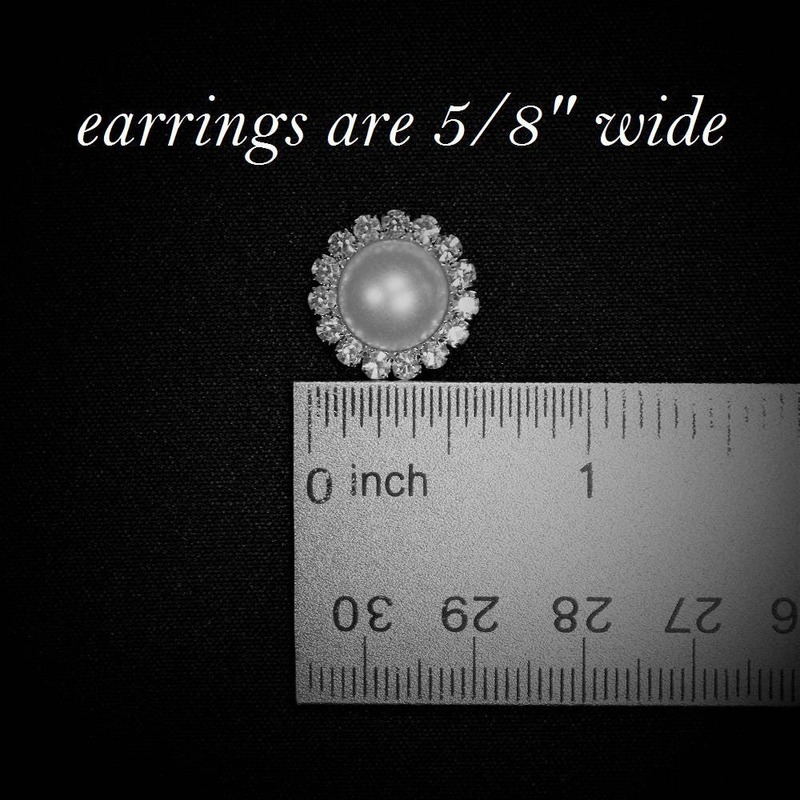 The earrings are 5/8" wide with surgical steel posts and disc backings. 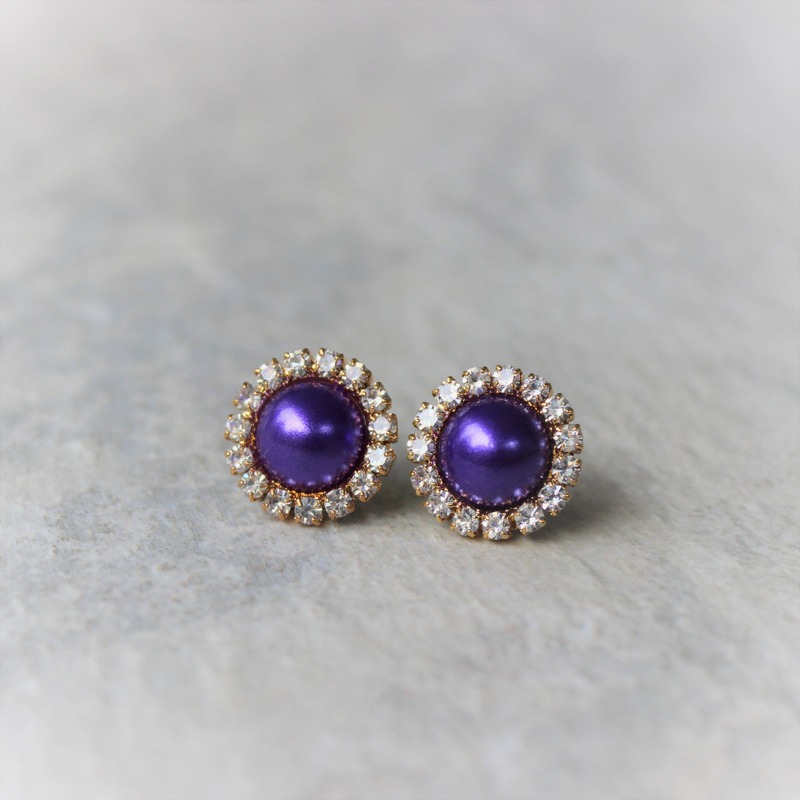 Each pair ships in a cotton lined gift box with bow. 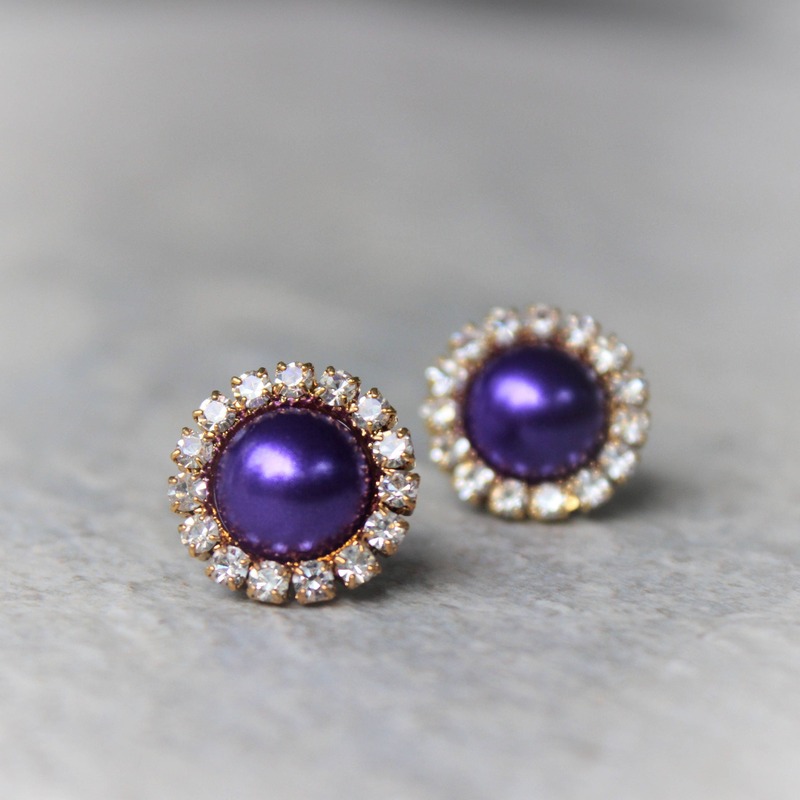 Also available with a silver setting! 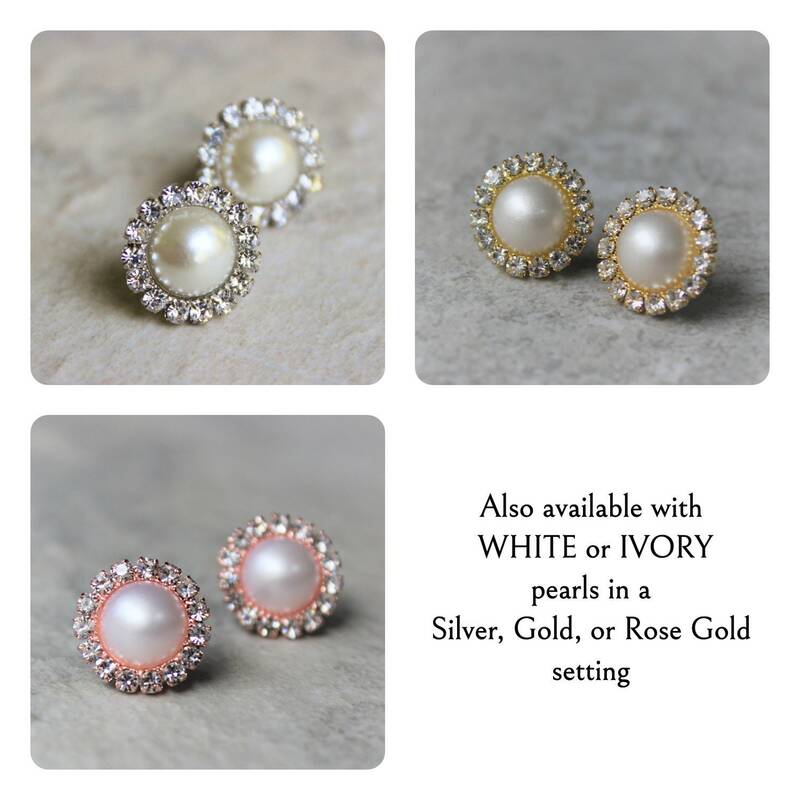 Need a different pearl color? 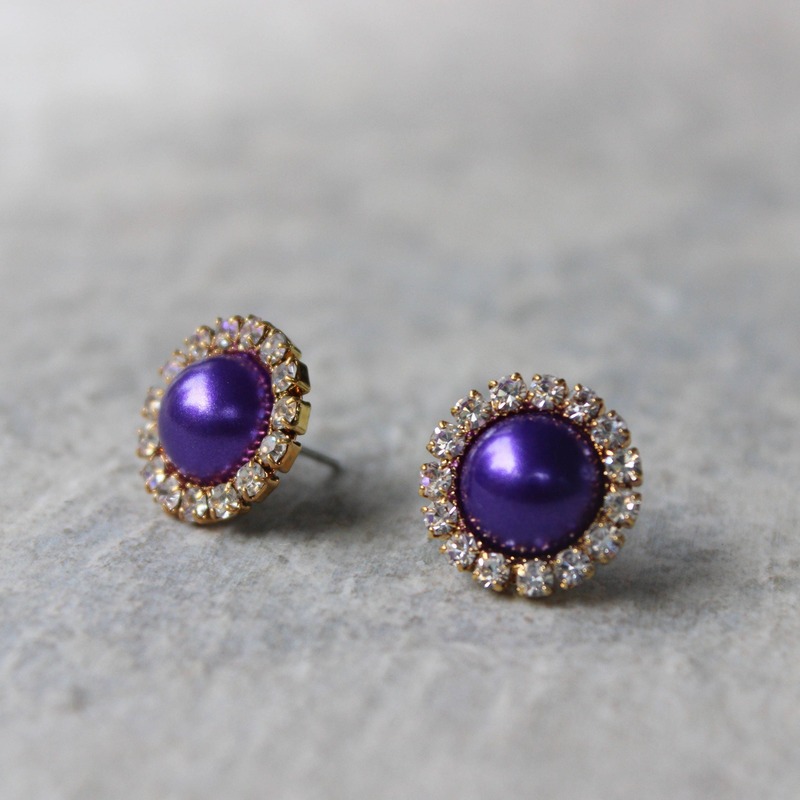 Please contact me with your request. 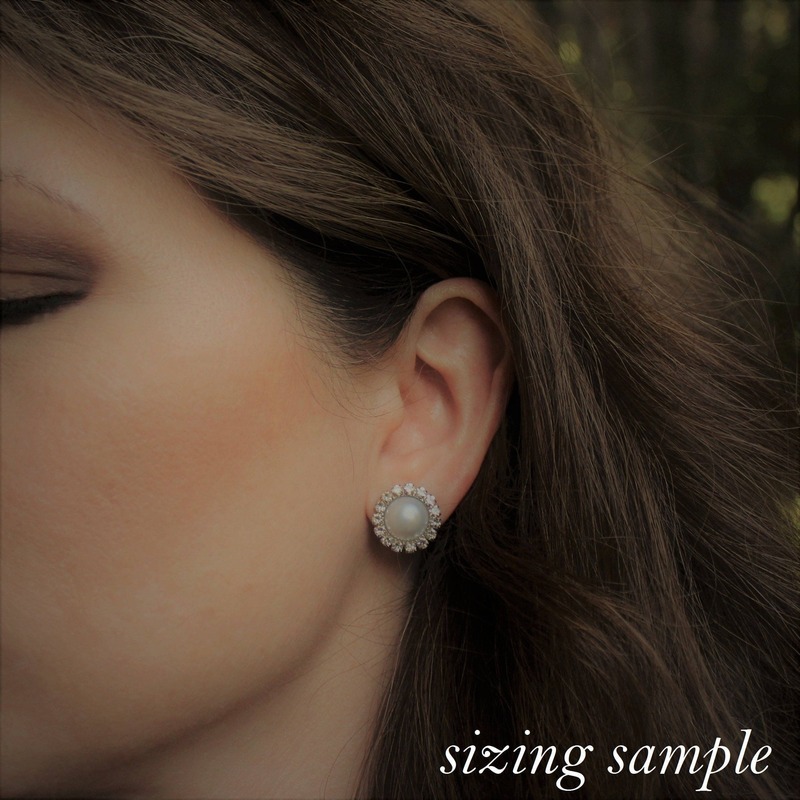 Color matching can be done at no extra charge.